Valuing a website before deciding to make a purchase is one of the most important steps in your due diligence. Valuing a website that lists little or no revenue in the Flippa sales page is challenging, to say the least. In a previous post I described how I went about valuing a young website before making a purchase. This post will hopefully help you value more established websites that haven’t recorded any significant revenue. PageRank, or PR, is usually a good indicator that the site is well indexed by Google and has been around longer than a couple of months. Good PageRank suggests that the site has a respectable volume of original content and a substantial number of back links (people linking to the site from other websites). What PageRank doesn’t tell you is the amount of traffic the site is receiving. When push comes to shove, it’s traffic that counts; you can’t monetize PageRank, but you can monetize traffic. I’ll add an important caveat to that last statement; you can monetize the right kind of traffic. And by traffic I mean the number of different people who visit a website. With any website auction or sale listing on Flippa, the seller has the ability to submit and display website traffic statistics from Google Analytics or other traffic stats packages. We highly recommend you see some proof of traffic and study where the traffic has come from. This applies for any potential purchase, but especially if you’ll be making a significant investment. The first question you need to ask yourself is, what is the right kind of traffic to value? Traffic generated by organic search engine results tends to be the most reliable and consistent. This is a bit of a blanket statement and there are exceptions to every rule, but read on for an explanation. Organic: Organic traffic comes from people searching by a keyword phrase in a search engine, finding a listing in the search results, then clicking on that listing. It’s an indication that search engines think a website’s content is relevant to a user’s search. Generally speaking, the more organic traffic, the more keywords a website is ranking for. Referral: Traffic that’s arrived via another website may not always be reliable long term. Say, for example, the website owner has been active in a particular website forum, leaving links back to the website for sale. What if the forum disappears or the user gets banned? No more traffic! (None): This really just means that Google Analytics can’t figure out where the traffic came from. In reality it may indicate that visitors are typing the domain directly into a browser address bar. This can be a good thing; it may suggest that the site has an established brand name, Twitter for example, and people just know to type twitter.com into the address bar. But it may suggest that traffic has been generated by less scrupulous methods, such as spam email. CPC: cost per click or paid traffic means exactly that – the owner has paid to generate the traffic. You’d have to ask yourself the question: why is the owner paying for traffic? Especially if, as in this case, the site isn’t making any money. Ok, so you’re satisfied that the traffic is kosher and the majority of visits are being generated by organic search engine results. How do you value that traffic? One way to value traffic is to figure out how much it would cost you to buy it. For example, a site for sale might rank #1 in Google for “takeaway pizza”, if you were to use AdWords (Google’s Pay Per Click advertising engine) to pay for a #1 position in the sponsored listing, you’d be paying around $2.75 per click. 10,000 clicks is going to cost you $27,500 – that’s a lot of pizza. This is complicated, but fortunately there’s a tool that will help you estimate the value of a website’s traffic. SEMrush.com is a keyword research tool that lets you discover the keywords a domain name is ranking for then estimates the value of that traffic based on what it would cost you to buy that traffic. Read that back slowly and make sure it makes sense. So How Much Should I Pay for the Website? Well… it depends. I won’t go into the complicated mathematics of different monetization methods and revenue generation models right now. You need to decide how much the traffic is worth to you. You need to figure out what percentage of visitors are going to convert to product sales, clicks on ads, sales leads, or membership subscriptions once they come to the site. Then you’ll know what to pay. At the end of the day using the SEMrush tool is just one of the many methods of valuing a website, but it’s a handy one to include when doing your due diligence. That’s a pretty interesting post. I was unaware of SEMRush, so I’ll have to add that to my arsenal of tools! Interestingly, SEMRush did not yield any information when I tried it on one of my own niche websites. Maybe it doesn’t get enough traffic for SEMRush to index? I’m just thinking out loud here, but it seems quite possible that the organic traffic could dry up if a competitor pops up or for some other reason. By valuing a website based on its traffic, you’ve effectively pre-paid for that traffic with no guarantees that you’ll actually get it. I wonder what sort of website are most amenable to this sort of valuation? I’ve also found that some sites don’t come up in SEMrush. I guess if they’re not receiving enough traffic or are country specific (besides the countries specified in SEMrush) then they won’t appear. As in life, there are no guarantees when buying websites. There’s nothing stopping other websites pushing you out of the search results if you don’t continue to add good content and build backlinks. On your second point: that’s definitely true. Content is king. Plus, even if you were to rely no CPC for traffic, you could still get outbid for your keywords. I just ran SEMRush on a website and it placed the value at about double what I could probably sell the site for. So like any web evaluation tool, I’d say take its results, cut them in half, and then figure that’s a good price. Ultimately, a website, like a share of stock, is only worth what someone will pay for it or what it yields in income/profit (like a stock’s dividend). So many sellers here have hideously unreasonable expectations based on what some website says the site is worth that it would be laughable if it wasn’t impeding the proper sales of domains and sites. Amazingly, these sites never sell anywhere near the price so called valuation websites say they’re worth. In fairness, valuing a website is a very complex process which I know I pooched early on when buying domains years ago. Watch and learn (just like in stocks) before jumping in and you’re a lot less likely to lose your hard earned cash. “Not All Traffic Was Created Equal”. Never a truer word spoken! One thing I wanted to point out is for buyers to be alert to Google Images traffic. I had a young tattoo site that received a great deal of traffic from Google image search however that traffic wasn’t easy to convert. An experienced marketer bought the site however for a newbie it might have been a troublesome investment if they didn’t have the required skills to convert traffic and or attract more relevant traffic. So digging deep into each of the traffic categories themselves is an important factor when summing up a site. This post seems to be written by someone who’s done a little research, read a few articles and reworded stuff he’s read elsewhere. It therefore has a lot of inaccuracies and errors. Not at all. You can have next to zero content and get tons of links (as some free webpage counter sites would testify). PageRank has nothing to do with content! Tell that to all the good folk specialising in selling PR i.e. buying sites/dropped domains etc., and selling text links. It doesn’t matter if you’re getting zero traffic, you can still sell links. So, yes, you can monetise PageRank. >>Traffic generated by organic search engine results tends to be the most reliable and consistent. It’s not the most reliable or consistent because an algo can change at any time. Getting 100% of your traffic from 2000 dedicated affiliates is a ton better than getting 100% from Google. >>One way to value traffic is to figure out how much it would cost you to buy it. LOL, you’ve been reading too many sales listings. Sellers typically always try to use this to demonstrate value. It’s so NOT true. You seem to have a lot of the basics wrong. Do you really have ANY experience with buying established sites? >>I won’t go into the complicated mathematics of different monetization methods and revenue generation models right now. 3Six, there are exception to every rule, and your comments have confirmed that website valuation is a tricky business. Each website sale has to be evaluated on its own merits. I sort through Flippa’s listings by PageRank each morning and I’ve found, *usually*, the ones with higher PR have been around for a while and have a good amount of content. These posts are aimed at fostering discussion around website valuation and I welcome any constructive feedback from buyers and sellers. I don’t claim to be a website trading expert, however, my 10 years experience in online marketing has taught me a thing or two about traffic. Also, if I had 2000 dedicated affiliates pointing traffic to my site, I’m guessing I’d want to be making revenue somewhere. If you read the title of this post you’ll find that this is about the difficulty of assessing websites with no revenue. Another exception – what if a site was ranking well for keywords that were trademarked in AdWords? The SEMrush figures would be very low but the site might be generating valuable traffic, indeed priceless traffic! No. With respect, my comments have confirmed that you got a lot of things wrong. So are you going to correct all that nonsense about free SE traffic being the most reliable, that high PR suggests good content, that you can’t monetise PR etc? Or are you going to pretend you had it right all along? It appears this post is meant to be a simple guide to help those new to traffic monetization. I believe this post accomplishes that purpose and I doubt you have enough experience to dispute that. Brandon, simple guide is fine, but this isn’t simple, it’s misleading, incorrect, misguided, factually wrong. On many counts and in more ways than I’ve listed in my last post. >>I sort through Flippa’s listings by PageRank each morning and I’ve found, *usually*, the ones with higher PR have been around for a while and have a good amount of content. I have no doubt you’ve made some such connection. But that wasn’t your claim. Your claim was that the level of a PR a site has is a pointer to how much of content it contains. BTW, sites don’t have Page Rank. With regards traffic from SEs vs traffic from affiliates – are you being pedantic? I could wheel out numerous examples of traffic that’s more reliable and consistent than SE traffic, Oo are you sticking to your original line about organic SE traffic being the most “reliable and consistent”? If you’re writing for the newbies around here, please don’t make the most basic mistakes that the newbies make! That doesn’t help them. And you still stand by your claim that you can’t monetise page rank? I gave you an example of selling text links. Do you know how the majority of paid-listing directory sites price their product? PR is their lifeblood. >>what if a site was ranking well for keywords that were trademarked in AdWords? The SEMrush figures would be very low but the site might be generating valuable traffic, indeed priceless traffic! It’s good of you to admit you’ve got no trading experience. But, if you recall the toasting your colleague Dave got in the SE forums on the disaster that was the Flippa launch, it’s better to admit blunders early on than trying to defend them. A good place to start would be to correct your post or admit exactly where you got it wrong. That would help the newbies. Ask in the Sitepoint Buy and Sell forum if you want clarification of the points I’ve made. I have consistently warned against using PPC costs of terms a site ranks for as a way of valuing a site. You’d have to go by traffic logs. But there’s a problem there too. It’s very rare that a site gets all its traffic from one term. You’d have to analyse the traffic stats, see how many people came in on what term and how much each term was worth. Not easy. Finally, PPC costs vary from country to country. A term that has high costs in Denmark may have zero advertisers in the US (and $0.01 cost). How would you know about it? How do you adjust for these geo variations? Even if you can filter the traffic by term AND individual country and tally against PPC costs in that country – such method still doesn’t account for quality of traffic and likelihood of conversion / CTR / making money. And it’s much lower than you think. 99% of people basing their calculations on this will find that the site doesn’t live up to their expectations. If you’re fairly new to buying sites my advice is to AVOID paying for sites based on what you estimate the future profit to be. Estimating potential earnings for a site that’s making nothing now … is a high risk activity, requires a good understanding of the niche and is best left to those with more experience. However, a lot of scammers rely on convincing you of “potential” to relieve you of your money. I agree that this is a simplification and does serve a purpose. But in reality it could put a potential purchaser back to square one. Valuation is art and science, and all we can really hope for is to get the science right on and intelligently estimate the art. Saying, “You need to decide how much the traffic is worth to you” does not help much. That is what valuation is all about and the purpose of the exercise. The “complicated mathematics of different monetization methods and revenue generation models” are certainly part of it (though they are not all that complicated), but good appraisers and strategists look at the big picture such as competitive forces, PR value (an intangible that does have value), and the future ability to generate revenue. Remember that “value” is created after the purchase so we are interested more in what WILL happen rather than what HAS happened. Value for a website is just like any other business, theoretically the present value of its future income stream. IF you vary so much in opinion on right/wrong from the author, do you have a URL for something you’ve written for us to check out on the topic? Definitely interested if you do. If you don’t, maybe taking your blog comments and spinning into a post with more info would be cool…. James, thanks for your interest. There are people who make a living from websites and people who make a living telling others they can make a living from websites. I’m in the former camp 😉 but may do a guest post for someone sometime, I’m happy to share. There are numerous experienced buyers who’ve writtten on this stuff – like FruitMedley Post, hooperman, benetiz, tke71709 and others in the Sitepoint Forum whom I recommend and some of them link to their sites/blogs: http://www.sitepoint.com/forums/forumdisplay.php?f=265. I appreciate Luke’s job is to drive more business to Flippa. Misguiding newbie buyers on valuing sites gets them to pay more and leads to more sellers listing similar properties …and more money for Flippa. That may not be the marketing manager’s intention – and given that he’s new to this I accept it probably wasn’t – but it has that effect. Eqtynt13 and Fruit, you are spot on – the value of a website is based on what it’s going to make in the FUTURE and first time buyers are not best placed to make that estimate. As you say, just telling them they have to decide how much the traffic is worth to them doesn’t help. If we then go on to help them make that estimate we need to stick to facts, not fairy tales that push up Flippa revenue at the expense of unwitting buyers. SEMRush is a great tool but I’ll go further than Fruit, I’ll take a stand that PPC costs are completely irrelevant in the context of this thread. For one, PPC costs give you no idea of conversion or EPC. The last think I want to do is misguide newbies. If a new buyer gets burnt first time round there’s no upside for anyone. If any experienced buyers would like to share their valuation tips in a guest post, I encourage them to do so. I have contacted 3six and FruitMedley directly and asked if they would like to share their tips here in a guest post. Thanks for that invite and the email. I’ve never handled a diamond in my life. I’ve no idea about colour, clarity and cut and how they impact on price. I can’t even tell glass from a diamond. Then this chap comes up to me on the street and offers me an expensive diamond on the cheap. “Just pay me whatever you think is a fair price, gov, I need money badly”. Should I buy it? Should I even attempt to value it? That’s a bit like a newcomer trying to value a site from the often slick operators here. These crooks’ skills at setting up a directory script, auto-updating blog or clickbank product – and getting a quick 1000 junk backlinks for $10 – are matched only by their ability to sell snake oil. And new buyers CAN’T tell these sales from the very, very rare genuine sale no matter how much you or I write about it. There’s no substitute for experience. I’d be delighted to write you a blog post. In it I’d explain why newcomers should NEVER try to value or buy a non-earning site. Even if it’s an earning site they should NOT buy it till they get someone whose skills they trust to give it the once over (due diligence). As a newcomer your BEST bet is to NOT start by wasting money. Create your own site – there are enough guides around or buy a template – and practice on that! If you get stuck ask in the forums and people will help. I don’t know you yet, but if you genuinely want to help new comers, Luke (rather than just con people to boost Flippa profits), you’ll take up that offer AND publish the post. Some good points 3six. Your comments and some I’ve been hearing from sellers suggests we need to try to educate buyers around discovering quality. There’s no substitute for experience but if we can help educate new buyers and new sellers as to what a quality website is, then we can help them buy, build and sell quality websites. From what I’m hearing so far, people buy sites for a multiple of reasons, not just historic revenue. For example, some people buy start-up site because they want to shortcut the process of setting up a niche site. If I find a well made site in a niche I’m interested in, I’ll consider paying $300 – $400 for the 6 hours it saves me to register a domain, install WordPress, choose and customize a theme, source original copy, drop in AdSense or affiliate offers etc. Why do you think that sellers want to educate buyers about finding quality sites? Don’t you think that buyers can determine that on their own, or at least they are better off learning about it themselves rather than being educated by the people trying to sell their product? If you go to buy a car, do you allow car salesmen to “educate” you about the car market, or do you do your own research, talk to people you trust who know the market, and then make a (hopefully informed) decision. Flippa is always going to have a bias towards sellers because they provide the majority of the site’s revenue, which is understandable, but trying to help sellers by telling buyers that paying $300 – $400 for a template site is a good deal, when in reality most people can learn to accomplish the same result in a couple of hours and a minimal cost or buy a similar site for much less at one of your competitors, is not a good way to do business. I’ll be interested to see what comes from 3Six’s guest post. I know he won’t pull any punches or try to spin things in the way Flippa would like just to put this site’s business in the best possible light. Since I only buy sites here, I like to see information that is balanced, and not put out to appease sellers or generate more business for Flippa. You can value a website based on its other fundamental features which make it up. These features other than revenue are things such as traffic, backlinks and link popularity, pagerank, content, and the demographics of users. To get a quick estimation of a website value you can use online estimation tools such as http://www.websiteoutlook.com or http://www.websitevaluebot.com to get a instant estimation of your site worth based on half of the key fundamentals of website valuating and mentioned above. Just remember these are guides and can be amazingly over or under blown valuations. Mike, if the valuations are “amazingly over or under blown”, what is the point of using the site? Since you seem to understand that the valuations are almost always wrong, why are you recommending that people use them? Sure, people buy sites for many reasons. And, sure, it’s easier for some to buy a template than to create from scratch, I’ve already suggested that. But that’s not what we’re talking about. We’re talking about newcomers valuing sites based on your spurious calculation of how much of profit they can make from it in the future. And them getting burnt. We’re talking about conning newcomers. Do you want to go ahead with a warning post explaining to newcomers NOT to buy non-earning sites because a) they don’t/can’t have a clue about valuing them and b) valuing nonearning sites on “potential” is best left to the experts in that niche (and even they get it wrong)? Or is your position still that you’ll encourage newcomers to buy non-earning sites based on “potential” profit? You don’t seem to address the core issue, Luke: Newcomers – giving them false expectation of future profit – then encouraging them to buy. At some point you’re going to have to face it. Either you continue to con them … or admit that the best bet for newcomers is to stick to established, proven, profitable sites. 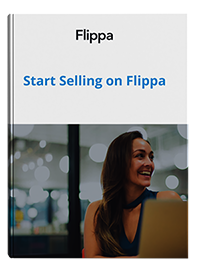 If you do the former you make more sales for Flippa. If you admit the truth, you’re not doing your job. Sticky wicket, mate. 3Six, that is the response I assumed from Luke. I don’t expect Flippa to put up blog posts telling people never to buy websites, but information with an unbiased slant every once in a while would be nice. It’s hard enough for someone with several years of experience to avoid getting ripped off or overpaying when buying a site that is established and has revenue, and a person that is new to the industry and buys a site with no revenue as a starting point is putting themselves in a hole right off the bat. In my opinion, if you have no experience, a site with no revenue should be valued at $0, and Flippa’s cheerleading isn’t helping anyone. You got fooled by Luke’s rewording of my offer. He’d like readers to think that my offer was a post telling people not to buy sites. That’s not so. My offer was to explain a basic truth – that if you are a newcomer and don’t know how to value a site, don’t rely on a seller (or other interested party 😉 ) to tell you how to value it, particularly if the main component used in calculating value is missing completely! Pretty much what you said earlier. Seeing that Luke’s gone quiet, hasn’t emailed me again and hasn’t corrected his dodgy advice to buyers, I’ll take it that Flippa stands by the post originally made. I’ll be releasing a post shortly recommending some external resources to help newcomers value websites and learn about the buying and selling process. I hope these resources provide more comprehensive methods of valuation. At the end of the day this post is just one of the many ways of assessing a sites traffic and one of the many tools you can use as part of due diligence.